- Active and retired Interline employees, defined as employees of IATA/ARC appointed international, regional, courier, and cargo airlines or active employees of FAA, TSA, Air Marshalls, or Air Traffic Controllers. Employee's specific position must be eligible for flight benefits through their employer to qualify. - children of the eligible Interline employee. 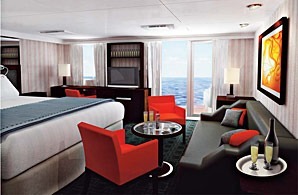 Eligible Interline employees and family members are approved for ONE stateroom at the Interline rate. 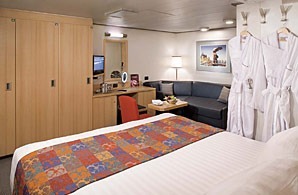 Additional guests sharing the same stateroom with an eligible Interline employee or family member are extended the Interline rates. 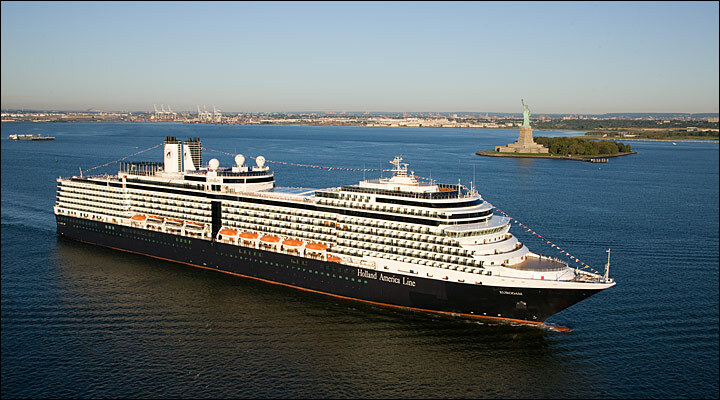 Holland America Line’s first Signature-class cruise ship, ms Eurodam has delighted guests since her maiden voyage, and recently received many exciting updates, including new lounge, dining and entertainment venues, and completely refreshed suites. Guests now have even more world-class entertainment options than ever before. Live music has always been the heart and soul of evenings aboard Holland America Line, and Eurodam features the full Music Walk experience — with three exciting venues. Lincoln Center Stage, featuring world-class musicians performing chamber music, and Billboard Onboard, rocking the house with 50 years of chart-topping hits, join the already popular B.B. King’s Blues Club, which brings the best of Memphis blues to sea, and completes the new “Music Walk” experience. In addition to amazing evening entertainment, an array of activities allows you to pursue new interests or relax and rejuvenate. 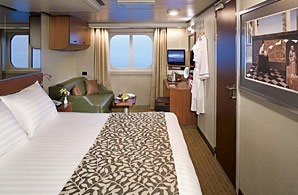 Enjoy onboard cooking shows and hands-on workshops in partnership with America’s Test Kitchen. And explore the wonders of our world through exclusive BBC Earth natural history content through onboard activities, concerts and films. Learn how to edit, display and share your vacation videos and photographs through the Digital Workshop powered by Windows®. The Greenhouse Spa & Salon offers spa treatments, a thermal pool and lounge and a variety of salon services. The fully equipped Fitness Center includes state-of-the-art cardio and weight machines, as well as classes in Yoga, Pilates, indoor cycling and more. On deck enjoy two outdoor pools, along with basketball and volleyball courts. Club HAL provides a wide variety of youth and teen-friendly activities for kids ages 3 to 17, supervised by qualified, full-time staff. Enjoy everything from a burger and fries by the Lido Pool to the authentic Pan-Asian flavors of Tamarind to the ultimate in refined and luxurious dining at the Pinnacle Grill. Sel de Mer ("sea salt," in French) is an intimate seafood brasserie offering a contemporary twist on French seafood classics, with à la carte dishes ranging from fresh oysters to salt-crusted whole fish to bouillabaisse. For breakfast, lunch or an unforgettable five-course dinner, the elegant Dining Room is your destination for sophisticated dining, with menu selections from classic favorites to vegetarian options, to dishes inspired by the regions you’ll visit. 2 lower beds convertible to 1 queen-size bed, shower. Approximately 141–284 sq. ft.
2 lower beds convertible to 1 queen-size bed, bathtub, shower. Approximately 169–267 sq. 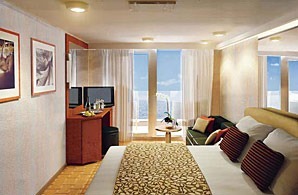 ft.
2 lower beds convertible to 1 queen-size bed, bathtub, shower, sitting area, private verandah, floor-to-ceiling windows. Approximately 213–379 sq. ft. including verandah. 2 lower beds convertible to 1 queen-size bed, bathroom with dual sink vanity, full-size whirlpool bath, shower and additional shower stall, large sitting area, private verandah, 1 sofa bed for 1 person, floor-to-ceiling windows. Approximately 273–456 sq. ft. including verandah.